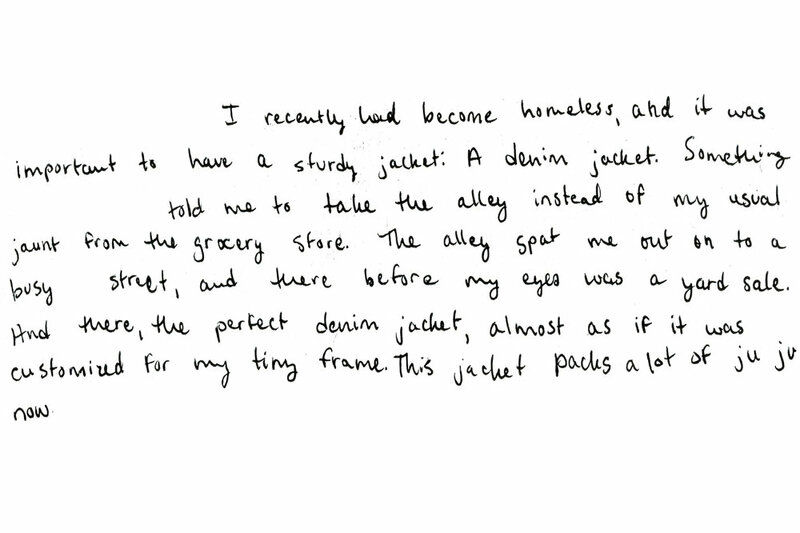 I recently had become homeless, and it was important to have a sturdy jacket: a denim jacket. Something told me to take the alley instead of my usual jaunt from the grocery store. The alley spat me out on to a busy street, and there before my eyes was a yard sale. And there, the perfect denim jacket, almost as if it was customised for my tiny frame. This jacket packs a lot of ju ju now.